Our flagship HD6 powered speaker system represents a major milestone for Audioengine and shows just how far we've come in 10 years. Featuring built-in amplifiers that really pack a punch as well as analogue and digital inputs including aptX Bluetooth and optical, the HD6 is not just another great-sounding pair of Audioengine powered speakers, but a complete audio system. We've included features from some of our best-selling products making HD6 quite possibly the most versatile powered speaker available. Stream TIDAL, Spotify, Pandora, YouTube - or any streaming service or media player - wirelessly from your smartphone, tablet or computer. For the highest resolution connect to the optical input, which is perfect for network music players. 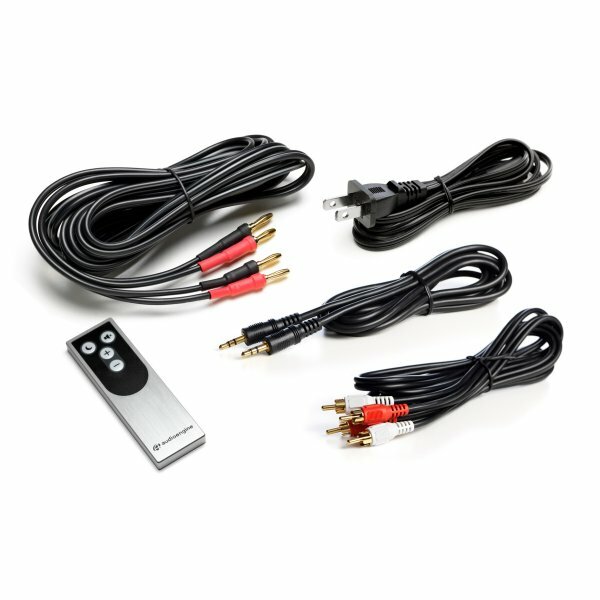 It can also be used to connect any component with an optical output, including your TV system. You can also connect your favourite turntable or a subwoofer, so no matter how you connect and listen, HD6 has you covered. HD6 was designed for audio performance, but speakers obviously also need to look good so we've included furniture-grade wood veneers, aluminium trim accents, and detachable magnetic grills that blend with any decor. 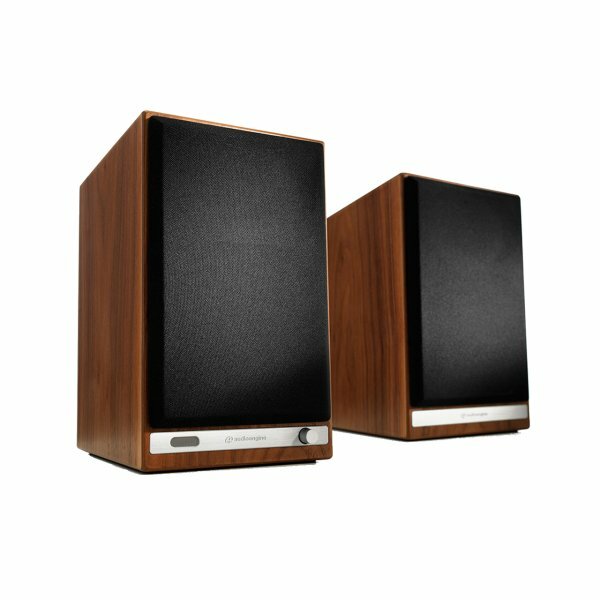 Available in Satin Black as well as real Walnut and Cherry wood at no additional cost if you want to really show them off. Built-in power amplifiers save space and eliminate the need to connect HD6 to a stereo receiver or external power amp. Simply plug the left speaker into a power outlet and connect the included speaker wire from the left to the right passive speaker. All internal components of the HD6 are designed and tuned together, so you'll get Audioengine's Signature Sound and a much more efficient system than traditional separate passive speakers and amplifiers. HD6 is Audioengine's latest statement on high-quality and highly-affordable audio. The all-new woofers have diecast aluminium frames allowing the lower-end to really perform. Also new are the silk dome tweeters which have been upgraded for even smoother, more extended highs, superior stereo separation, and incredible imaging. The HD6 speaker cabinets are also a new design that are thicker and more stable which reduces unwanted resonances.